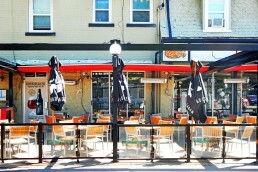 Situated in the downtown core of Toronto, family-owned Café Diplomatico is hailed as a historic landmark and community ‘hot spot’ for the last 50 years. 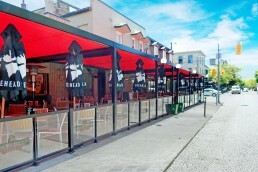 Being located in little Italy, it is known to be one of the city’s most authentic Italian restaurant and pizzerias. 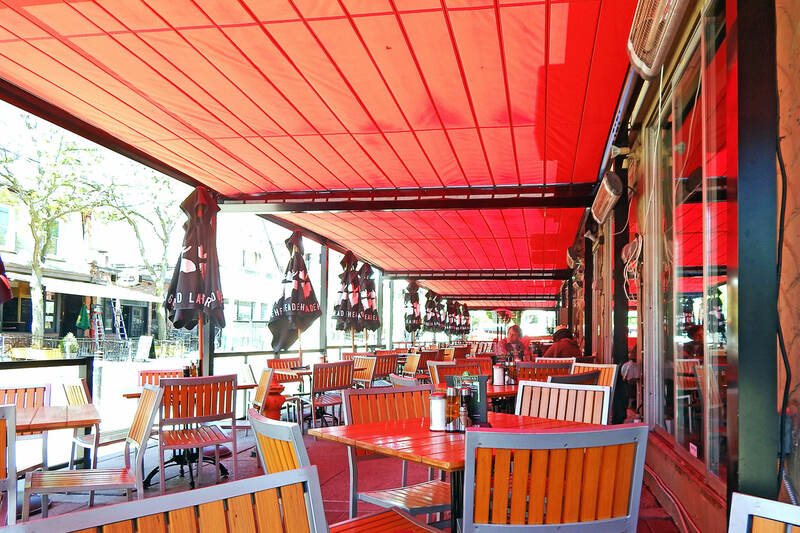 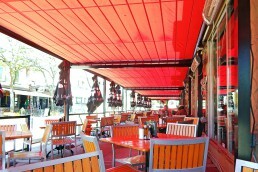 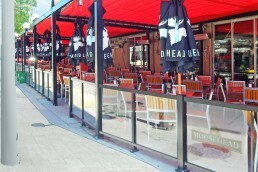 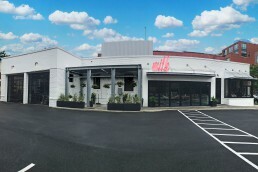 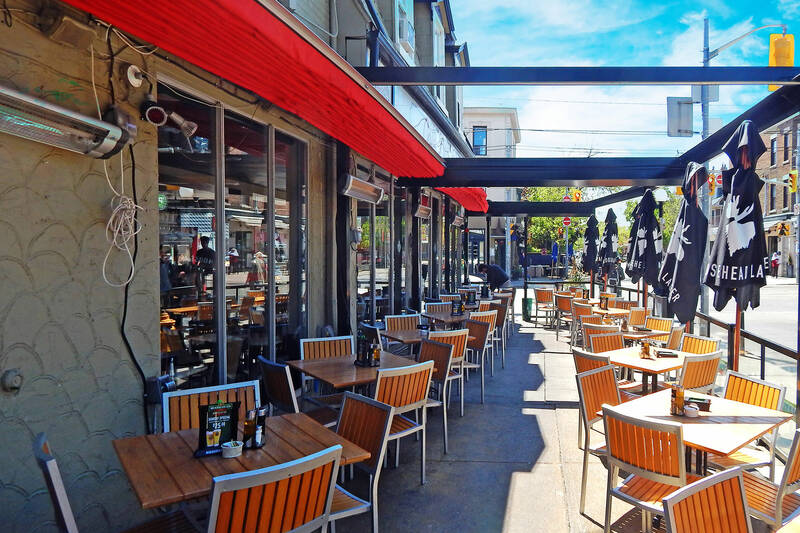 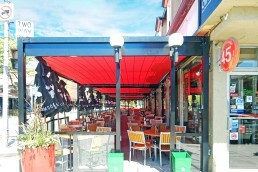 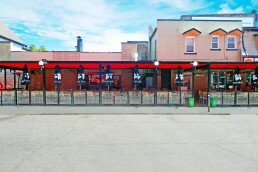 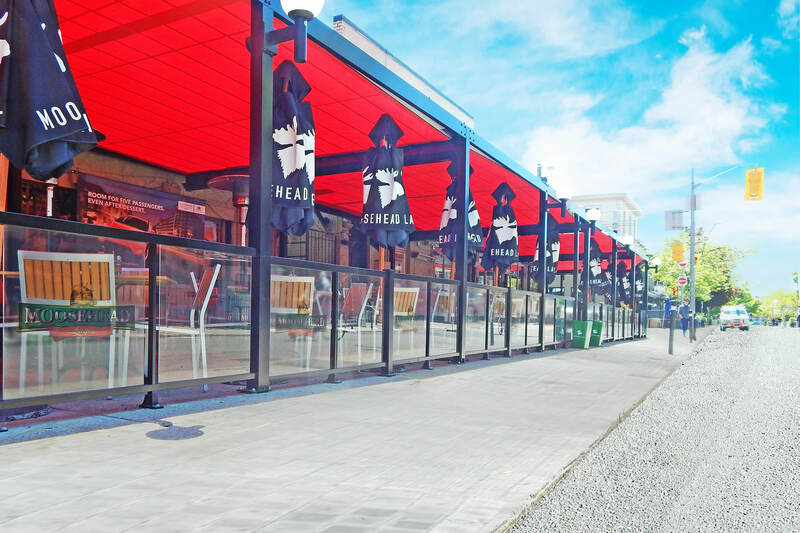 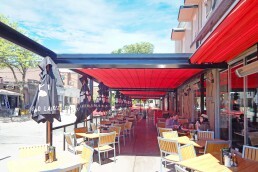 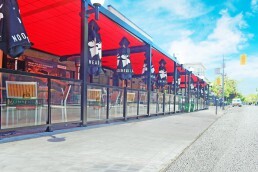 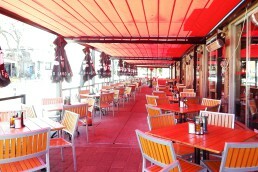 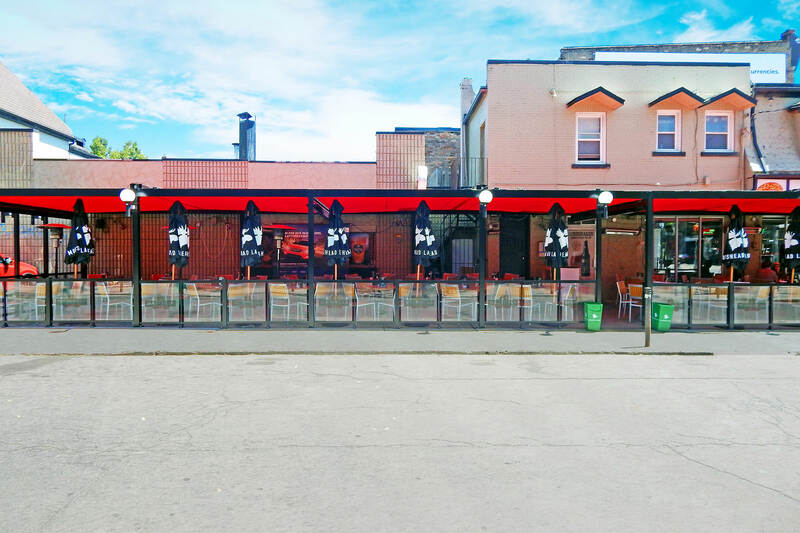 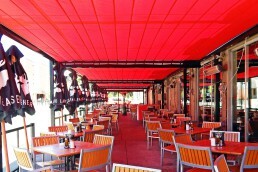 The restaurant needed an innovative and permanent solution that would help the patio become a draw for area consumers. 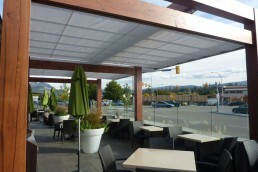 After extensively researching premier sun and rain solutions, the ‘Dip’ selected ShadeFX to propose and install a new, innovative patio solution. 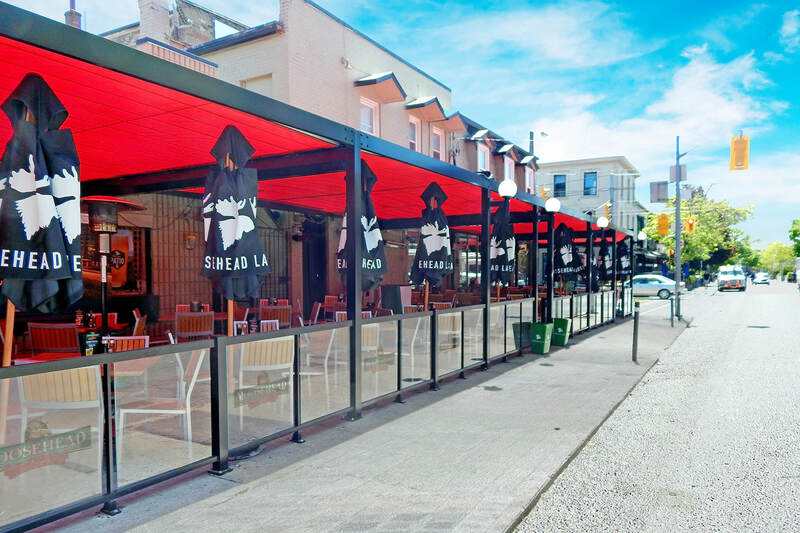 ShadeFX was commissioned to deliver a new design for the cafe that would offer protection from the elements and provide an ambiance similar to the cafe’s indoor environment. 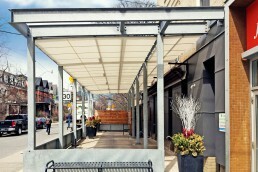 The newly designed space incorporates a custom-built aluminum structure, housing four motorized canopies that cover a space nearly 1350 square feet. 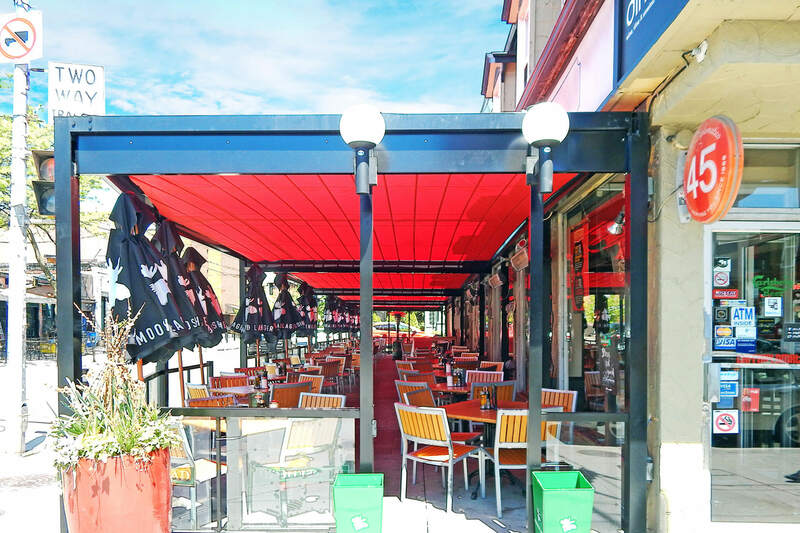 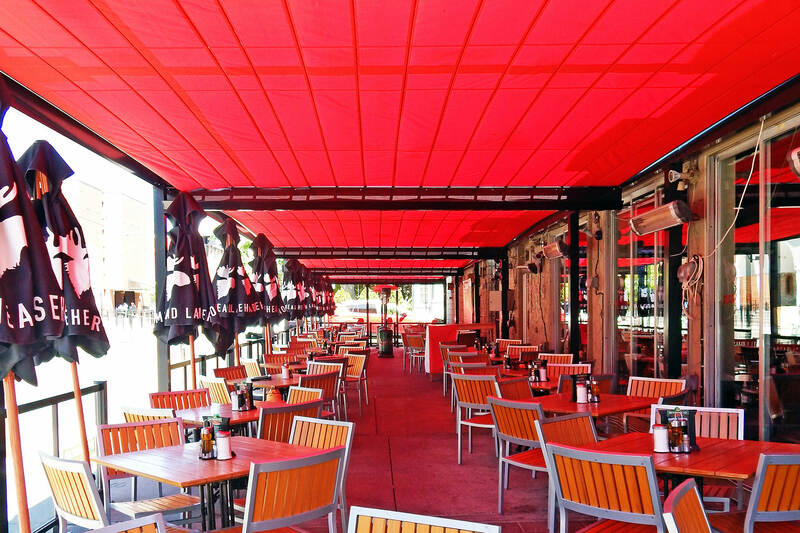 With fire retardant fabric, rain gutters, and drainage systems, the canopies provide a functional space through periods of inclement weather. Café Diplomatico now has dining options to accommodate all types of guests, whether they want the intimate ambiance of the indoor dining room or to indulge in the beauty of Little Italy’s authentic neighborhood on their protected outdoor patio. 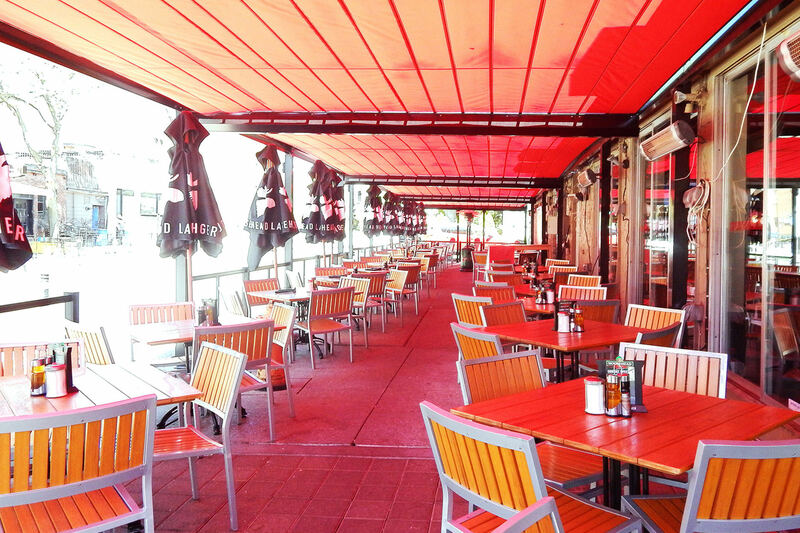 Find out more about Cafe Diplomatico’s application, results, and client testimonial. 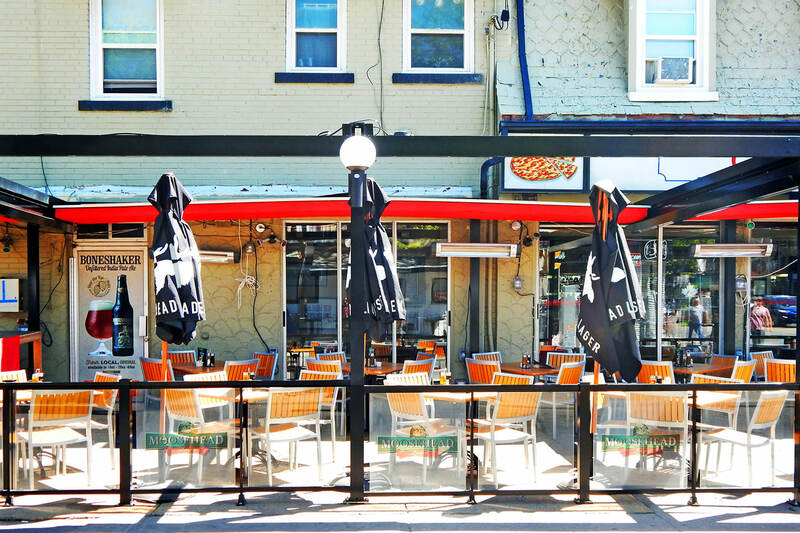 Situated in the downtown core of Toronto, family owned Café Diplomatico is hailed as a historic landmark and community ‘hot spot’ for the last 50 years. 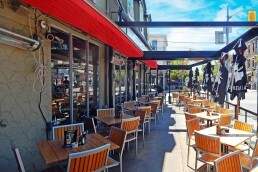 Being located in little Italy, it is known to be one of the city’s most authentic Italian restaurant and pizzerias.